Earlier this week we shared details on the latest My Nintendo update in Europe, so it only seems fair to share the equivalent update for North America. Due to the different expiry cycles on discounts in NA there are less changes, but nonetheless there are few new options available. The main attraction is the Bravely Second: End Layer 'New Faces' 3DS HOME Theme, which previously arrived in Europe. Beyond that there are Miitomo outfits - a Vegas Entertainer suit, Monster Paw slippers and a Super Nintendo T-shirt. Are you tempted to spend any points on these? This is all rather underwhelming. Got the theme yesterday. Glad it's finally available to everyone! You covered all of this on twitter already haven't you @Spoony_Tech it looks familiar, and about as underwhelming as you made it out to be. I like the Bravely Second theme. First thing I've actually spend coins on. Nintendo really needs to listen and make MyNintendorewards better with faster updates and psychical rewards. We don't need rewards staying for 2 months. How about a Biweekly update? Maybe the theme; I already have what I want. This is all passive junk to keep us happy but it is having the opposite effect. People are getting more angry with every updated new crap. I'm picking stuff up just because I have the coins to do so. Miitomo outfits as well are just getting picked up because I have the coins to. I barely even look at miitomo anymore because I don't see anything worth saving coins for. Guess I'm getting the Home theme, wouldn't hurt for only 100 Platinum Points. I'll stockpile the rest of my points till they release better/more stuff. Got till at least October to start "worrying". It's good to be ready for anything. I was pretty stoked to get Warioware, Twilight Princess Picross, and Mario Land 2 through the MyNintendo program. I was excited for the way things were looking for future rewards. I'm holding out hope that there will be better prizes on the way. I understand spacing out the 1000 point rewards, because there's only so many points you can earn in a few weeks. I think of it like exchanging tickets at an arcade. A healthy supply of cheap prizes like Miitomo outfits and home themes isn't a bad thing, necessarily. But with talks of Animal Crossing and Fire Emblem games on the horizon, assuming these will also earn you points, they're going to need to step up their offerings three-fold, at least. I already like My Nintendo more than Club Nintendo because I can regularly get free stuff and don't have to go through surveys. As soon as the theme came to European My Nintendo I redeemed it. I don't play the game but it's nice to have themes on my 3ds. The Bravely Second theme is actually pretty neat, even if you're not a fan! The theme is the only thing worth while and at a good price. I want to know what the other colors that the Elvis and paws of a monster look like, but NOPE! There's a slight improvement on the mobile My Nintendo website too. 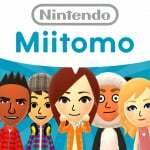 Miitomo rewards are grouped together, discounts together, and themes and downloads together. @HyrulianOfHyrule I'm still really salty that physical purchases don't earn points. @Mogster I grabbed that one too although I usually end going back to the Hanafuda theme. @Mr_Zurkon Me too, I wish you could put the physical game in your system and it would send it to my Nintendo for points. Like a built in cloud system. I've said it before, and I'll say it again: Physical rewards please! ...Or at least something that I'm semi-interested in. My coin boxes are overflowing! might snab the 3ds theme! "Are you tempted to spend any points on these?" Hopefully the next update will include even more amazing "rewards" - still waiting for digital food to feed my Mii, new pair of digital socks and perhaps a 10% discount off the release-day retail price of Garfield Kart for 800 points. About time! Redeeming for that theme right now. It's interesting, my Miitomo and gold coin boxes are housing virtual dust bunnies, while my platinum box is overflowing with unused coins. Nearly 2000 coins and nothing to spend on. First month was great, I was able to get both Donkey Kong Country Returns and Super Mario 64 just buying some games on discount (that I initially wanted anyway), since they count the original price rather than the discounted price. Second month was decent, I used the discounts on Metroid Prime Trilogy, Super Mario Galaxy, and Dr Luigi. This month is just trash though. Miitomo is already useless since there's nothing to use Miitomo/Platinum coins on besides Miitomo itself. Why bother? I even quit playing just to get the points because there's nothing to spend my points on!! I might as well get the Bravely Second theme I guess. I have plenty of points due to a glitch where it keeps giving me 90 points for checking Miiverse each week instead of just the 30 it's supposed to (though no objections here on that one), already got WarioWare, and the Picross isn't expiring for a long time to come and at only 40 puzzles isn't really especially worth it anyway. And the Gold discounts are an utter waste because you have to spend so much money to get them to begin with you might as well just buy the thing. Plus most of the games on the eShop are more expensive there even with the discount than they would be getting them used from Amazon. I feel like My Nintendo was launched a bit premature, like it was built with the NX and mobile games in mind. Obviously, neither are really available now, so we're just stuck in this awkward and uncomfortably long transition phase.